“Emulate George Washington, not Vladimir Putin,” one investor told Zuckerberg. Anger and frustration boiled over at Facebook’s annual shareholder meeting on Thursday, turning the typically uneventful gathering into a chance for investors to confront company executives after a scandal-ridden year. The meeting felt like a revolt at times, as investors hammered CEO Mark Zuckerberg with questions about his leadership, control of the company and handling of the Cambridge Analytica data-harvesting scandal. “Emulate George Washington, not Vladimir Putin,” one investor told Zuckerberg, referring to Washington’s decision to step down as president. Facebook's annual meeting feels like a revolt: nowhere else do the board and management get this kind of criticism, even in the media. Facebook’s shareholder meetings are mostly a formality, as voting power in the company is still controlled by Zuckerberg and his inner circle. This makes it nearly impossible to pass any shareholder initiatives unless they’ve been blessed by Zuckerberg. All six shareholder initiatives put forward on Thursday were voted down. During the election of board members, one woman interrupted and urged shareholders to vote down Zuckerberg’s re-election to the board. 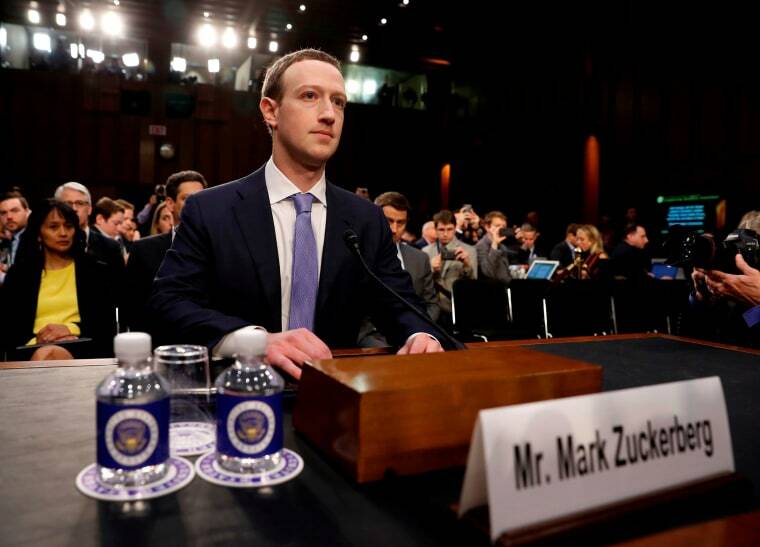 Despite the interruption, all eight members of the board, including Zuckerberg, were re-elected. A shareholder proposal that would have given everyone one vote per share, stripping Zuckerberg of his special voting rights, did not pass. Zuckerberg and board members were hit hard with concerns over the company’s handling of the Cambridge Analytica scandal. "If privacy is a human right, as stated by Microsoft's CEO, then we contend that Facebook's poor stewardship of user data is tantamount to a human rights violation," Christine Jantz, chief investment officer at NorthStar Asset Management, said during the meeting. Zuckerberg reiterated some of the talking points he has used on his apology tour on Capitol Hill and with the media, saying that Facebook had not taken a “broad enough view” of its responsibility. He also trumpeted Facebook’s changes, such as increased security spending and more transparency in advertisements. “Scandal is not good for the company’s bottom line.” -- another investor. This meeting is typically so boring (so much so that an investor asked Zuckerberg to follow Warren Buffet's example because it was so dull). This is the sharpest criticism I've seen since covering $FB. The rule originated in the NFL, and it stipulates that at least one minority candidate must be interviewed for a head coach or general manager position. Sandberg said Facebook will apply the rule when interviewing future candidates for its board of directors.